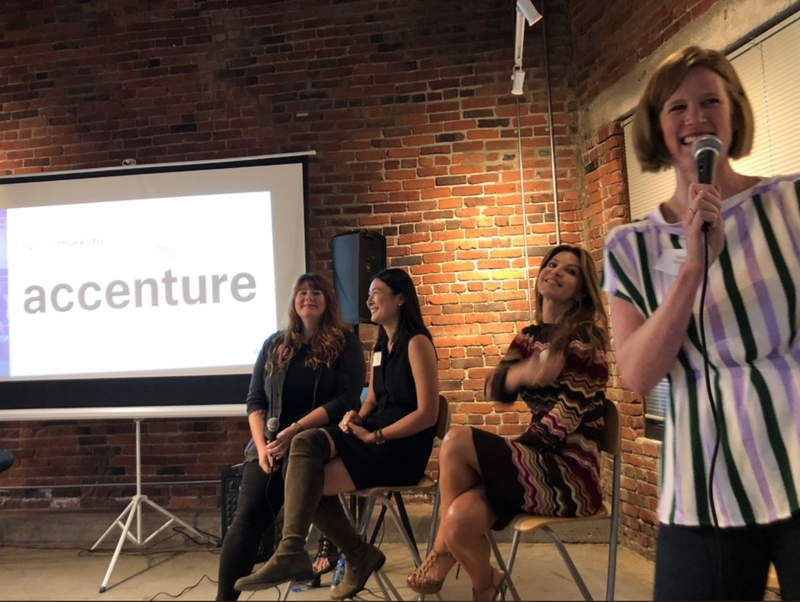 On the eve of the VR/AR Global Summit in Vancouver, the WXR Fund co-hosted a Celebration of Women in partnership with Accenture at The Cube, a co-working space for immersive tech startups. 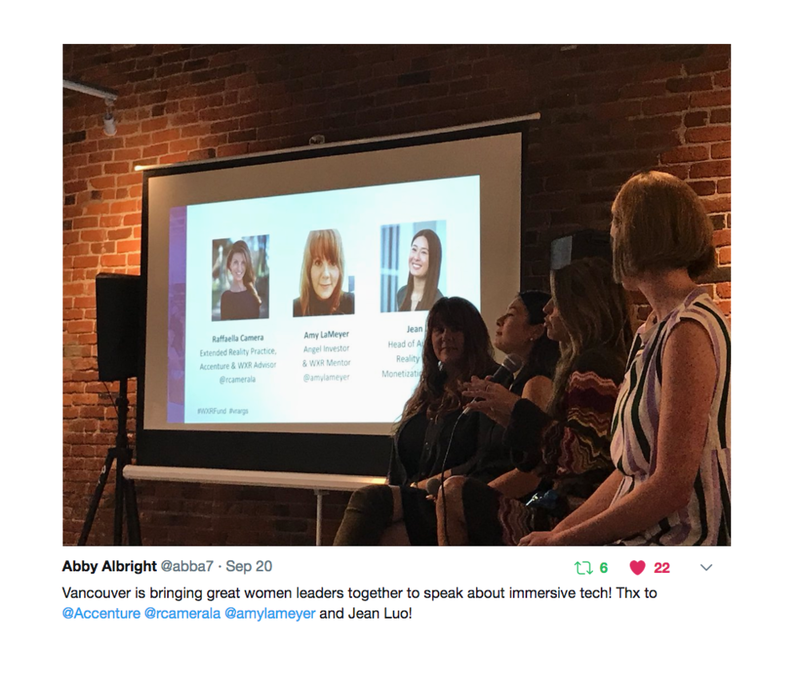 Women and men from the local XR community as well as guest as far flung as Korea gathered to learn from one another, get inspired, and kick the Summit off with some strong feminine energy. “An equal representation of women and men in the workplace is essential for any business. 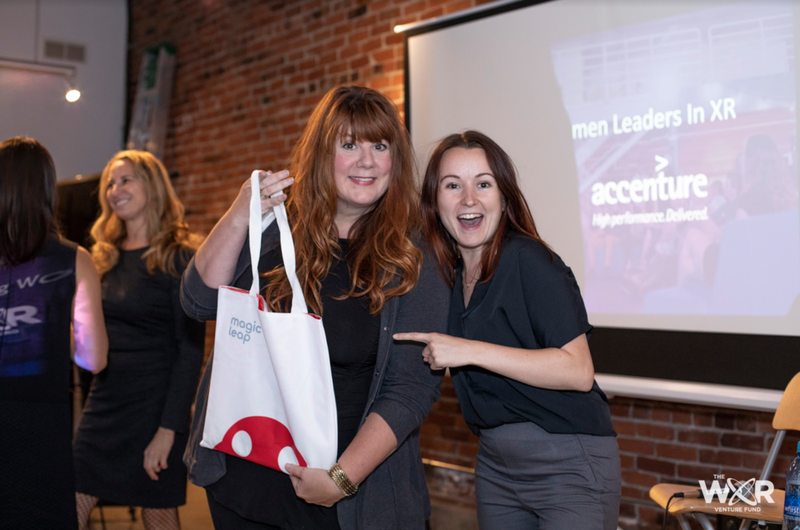 Women and men often have different approaches to solving problems or creating solutions, where women generally rely more on their empathy and listening skills. Achieving innovation takes a wide and diverse range of approaches and skills. 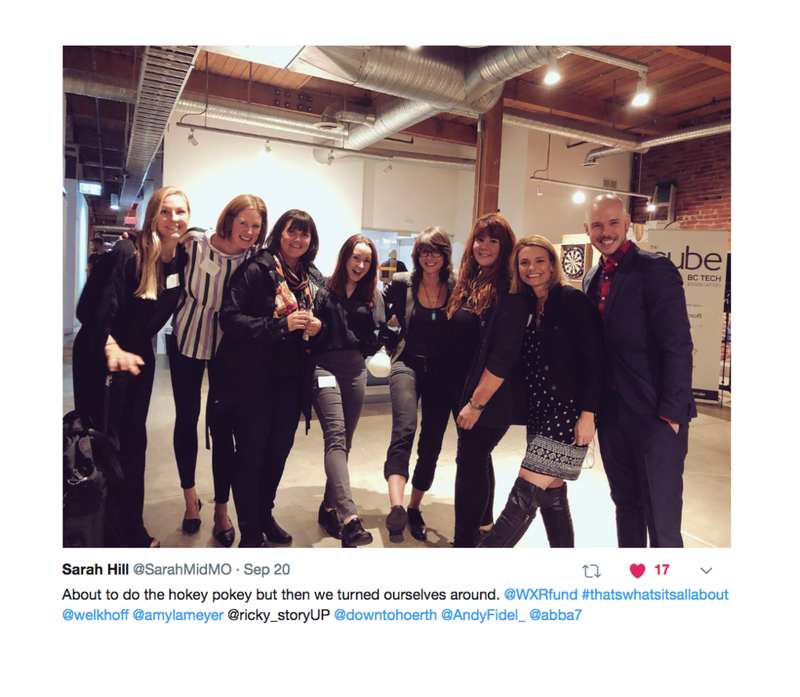 So, it’s a benefit for everyone–men included–to grow the representation of women at all levels of the organization and to welcome their contributions. We capped off the conversation by asking the panelists what they were most proud of in the spirit of celebrating their achievements in the industry. Enjoy the social highlights below, and we hope to see you are a future event soon!